Last week in Jacksonville, a pickup truck was pulling out of a local business when it crossed in front of a motorcyclist. According to a report by Jacksonville.com, the motorcyclist was heading west on Beach Boulevard near Foster Drive, when the truck pulled out in front, giving the motorcyclist inadequate time to stop or get around the truck. The motorcyclist, who was wearing a helmet, sustained serious injuries, but is expected to survive. 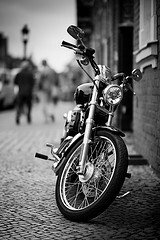 Between the years 2001 and 2008, more than 34,000 motorcyclists lost their lives in a motorcycle accident. Of all the fatal accidents, most involved riders between 20 and 24 years of age, and in a close second, 25 to 29 years of age. Most injured in motorcycle accidents are male. During that same period, more than 1.2 million motorcycle riders were injured. Of all the non-fatal injuries, most occurred to a rider’s foot or leg (about a third) followed by head injuries (22%). · Do not speed; and · Make sure to keep a reasonable speed when conditions are not ideal, such as rain or when traveling on a surface that contains gravel. Always remember, when riding a motorcycle, the limitations and dangers inherent in riding. For example, keep in mind that the braking distance may not be what you are used to when driving a car. Also, heavy winds may create additional hazards. The bottom line is that all motorcycle riders should take extreme precaution when riding to ensure they remain safe. Not all accidents can be avoided, no matter how safe a motorcycle rider is riding. For example, if another driver is intoxicated or is driving negligently, a motorcyclist might not be able to do anything to avoid a collision (except wear a helmet). 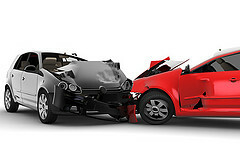 Click here, or call ( 904) 632-0077 to schedule a free initial consultation with a local, Florida accident attorney. A man operating a motorcycle was involved in a serious accident yesterday. The motorcycle was traveling south on Jammes Road. When nearing the intersection with Bartholf road a car pulled into the path of the motorcycle causing the driver to lay the motorcycle down into a slide. The operator of the motorcycle was not wearing a helmet and was rushed to Shands Jacksonville Medical Center with serious personal injuries. Motorcycle accidents are far too common. It seems that with more things distracting drivers these days, such as cell phones and texting, the small window for observing a motorcycle can be easily compromised with drastic results for the motorcycle operator and any passenger. Simultaneously with these increased distractions, Florida has made it legal for motorcycle riders to go without wearing helmets. This makes for a dangerous combination. As a side note, our firm handled a very similar car accident at this same intersection with the at-fault driver making the exact same mistake.